What are the best In-ground Pool Kits? More and more people are opting to ditch their apartments and become homeowners, wanting a slice of the dream and the ability to do what they want, when they want it, on a property that belongs to them with a lot of space and availability to perform different tasks. Previously, having a large backyard was one of the staples of the everyday home, letting your children or animals run around and enjoy the open space. This was more sought after due to the nature of some cities where having your own personal space is a luxury that is expensive to afford. These days however, whilst there is still emphasis on having your own property, more homeowners want to improve their property value as well as the facilities that they have available. Outdoor BBQ sets, veranda patios, and pools are the big thing when it comes to improving your home worth and gaining a number of home items that everyone can enjoy. Previously this was supplemented by the addition of an out of ground pool in the backyard, but now everyone wants something more permanent, that can give the entire home a brand new look and feel. In-ground pools provide just that, with the look and feel of a new exciting relaxation point. They can however be very costly, with some installations costing up to $50,000. This is not an option for some, however there are in-ground pool kits that offer you the chance to get your own pool at an affordable, do-it-yourself price. No longer are the outdoor pools the only affordable option for anyone wanting to purchase a pool. There are lots of things to think about before taking the plunge, and you’ll want to make sure you read all the details before making all the choices that will end up with you having a very fancy and relaxing pool. What are the factors to consider before buying your in-ground pool kit? When looking for an in-ground pool kit, you will need to consider several factors before making your choice. First and foremost, knowing the size and dimensions of the area you will be working with. Knowing the size and area of space of your backyard, which you will be building your in-ground pool into, is a key component, as the in-ground pool kit you purchase will maintain the right amount of materials for a certain size. You want to be sure that the kit your purchase will fit inside the available space you have and that there will be no obstructions or lack of space once construction has commenced. Most pool kits will provide details on the size of the equipment contained within; however, accurate analysis of your own property should be the first venture. To create a more seamless transition as well as a better pool area, it would be best to provide a portion of your backyard the space for the pool with addition space surrounding it to give the feeling of a bigger space without the pool taking up the entire area. This will also ease access to all sides of the pool and allow for people to lounge and rest on the sides around the pool. If you are unsure of what type of pool kit you want, you may also want to establish what type of material you want present in your pool. There are different types including fibreglass, gunite, vinyl-lined and poured-concrete. The choice that you make should be somewhat dependant on where you live, as the weather and elements can have an effect on how well your pool performs (as far as providing adequate warmth in the winter, coolness in the summer). Fibreglass pools are made from fibreglass-reinforced plastic that has been moulded to a specific shape and installed in an appropriately sized hole, with the surrounding area usually filled with a concrete deck. A gunite pool is the most popular type of pool in the United States, where the shape of the pool is crafted in the ground, various steel rebars used to structure the shape and then it is filled in with a special mix of materials to create the pool itself. Vinyl-lined pools are just as the name implied, a dug in pool, which is filled in with sand, and the walls secured with vinyl lining. Finally there is the poured-concrete which is similar to a gunite pool on poses a much harder challenge to build, where the concrete is poured in as opposed to sprayed (gunite pools are sprayed in). In most cases you will be able to find some professional pool installation companies that will come by your residence and assist you in your installation of the in-ground pool kit. This choice is up to you, although it is important to remember that the installation of an in-ground pool is not an easy feat, with a lot of work going into the whole process. The introduction of assistance can make light work of the job and help you gain a better understanding of how the installation works, the maintenance involved and also some additional warranty on the install thanks to the help of the installers. Once again though, this is at your discretion and it is still possible to install a perfectly fine and working in-ground pool on your own. In-ground pool kits can be the cheaper alternative to getting a pool created and installed by a professional, however that does not mean that financial planning or concern should not be exercised when taking on a project of this size. Ensuring that you have a buffer zone for your expenses will make the overall process cheaper and cover you in the unlikely event that an issue might occur. Overspending on a problem will only compact it further and not create any real solutions. Discussed further below are the kits that you may find suitable for your home. Be sure to follow all the guidelines previously mentioned so that the installation process can go as smoothly as possible. It is also best to careful analyse all the details listed in every item description so that you can prevent any problems arising once the item has been received, particular if it is to do with the size or materials used. What are the recommended inclusions for your in-ground pool kit? UV-RESISTANT - Built for the outdoors, this Rectangular 12-mil Solar Blanket for In-Ground Swimming Pools can withstand exposure to UV radiation and will tolerate even the most intense sunlight. INNOVATIVE HEAT SOURCE - Our technology employs insulating thermal bubbles that trap heat from the sun. These innovative cells retain warmth for effective heat retention even through cool summer nights and cloudy days. EXTENDS THE SEASON - This thick 12-mil blanket uses passive solar heating to increase your swimming pool's temperature up to 15 degrees Fahrenheit. Swim Time Solar Blanket is the perfect cover for the winter weather because the material is loaded with heat-retaining thermal bubbles that heats up your pool up to 15 degrees warmer. It enables heat to pierce through to give maximum heating and insulation properties. The blanket is UV protected and comes with a 5-year warranty. This is also good to use during the summer as it reduces constant evaporation, saving you buckets of pool water. A cover for your in-ground swimming pool is necessary when you are not going to use it for several weeks or months, especially during the winter season. Dirt and debris may build up in your pool and cause stains and algae. While not in use, it will protect your pool from the changing weathers, leaves, branches, nuts, and sap. It also protects against accidents where curious pets and children might wander and fall. It also lessens the risk of having damages that may cause expensive repairs. After months of use, this cover can also be easily cleaned and stowed away for the next time you’ll need it again. After the long winter, you won’t have to take so much time and exert too much effort in cleaning your pool for springtime because this cover has shielded the dirt away for you. There are three types of lights in the market, the LED, Halogen, and Traditional lamp. Pentair is a traditional lamp made from stainless steel, which makes working underwater not a problem. You also don’t need a professional to install the Pentair light as it comes with instructions and will take only about 15 minutes of your time. It comes with a cord with the length of your choice; 100 feet being the longest and 50 feet the shortest. This underwater light has prismatic tempered glass lens, stainless steel shell, and stainless steel face ring with uni-tension clamp. Getting lights or lamps installed in your in-ground swimming pool not only allows you to swim more efficiently after the sun has set, it also improves safety around the pool. People with eyesight problems might not notice that they’re walking to the direction of the pool and might accidentally fall down. This is the same for kids and pets. Having light fixtures don’t only keep everyone safe, it also makes the pool appear more elegant and inviting at night. It’s definitely a stunner when you invite visitors over for a night party. This 3-step ladder is best used for in-ground pools because of it ease of installation and sturdy, durable material. It is made of stainless steel, zeroing the chance of rust and corrosion, making it an effective ladder for years to come. Putting this ladder together is fast and easy; it will take you about 20 minutes to assemble and mount it to your swimming pool. The overall material used is sturdy, thick, and well made. Just by the feel of it, you’ll know that it’s high-class. You can pick a “Figure four” handrail to accompany this ladder to make it much easier to use. A swimming pool isn’t really complete without a ladder or steps. This is just one of the many types of steps available in the market; you can pick one that doubles as a seat especially if you have kids or elderly who constantly use the pool. A ladder doesn’t only make it easier for swimmers to get on and off the pool, it is also considered as a safety accessory. Diving to get into the pool is not always safe, especially if done by someone who is not a professional. Therefore, having steps on your pool makes the entire experience safer and more entertaining. This pool heater, which is considered as pricey compared to its counterpart, is definitely worth it. Not only does Hayward built a name in the swimming pool industry, it also aims to create products that are safe and eco-friendly. This heater is made from universal energy-efficient materials that aim to provide comfortable heat anytime at a fraction of a price. You don’t have to worry about your surging gas bills anymore because this heater aims to not only warm you up but also save you bucks. The body is made from polymer that enhances hydraulic performance, saving energy and at the same time protecting itself against erosion damage. A heater enables you to swim comfortably during cold weathers. Because it’s generally cold at night even during the summer months, a heater is a necessity for pool owners all year round. What good is it to own a pool that you can use only during the day when the sun is out to warm you up? Extend more fun swimming time until night time through the use of a heater. Pick one like the Hayward heater so you will be able to save money while enjoying the warm water. As mentioned before, Hayward is known for its long lasting swimming pool product and they have been in the industry for decades. 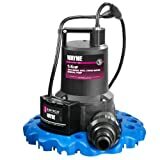 They know what they are doing when they built this pool pump that not only does its job well but also saves you thousands of dollars from electricity cost each year. It is common knowledge that pumps and filters eat up a lot of power. Hayward, in an aim to make swimming pools more affordable, created products that are eco-friendly. This energy star certified pool pump is made from materials that are cost efficient. It also features customizable speed and duration, meaning you can control how it runs especially when power is less needed. It is enclosed in a permanent magnet motor that can save up to 80% in energy costs compared to single-speed pump alternatives. This pump also runs quietly. The pump is considered as the heart of your swimming pool; it is the one that pumps water into the filtration system to clean and sanitize water before pumping it out of the pool again, making your pool safe and clean to swim in. It is also responsible for regulating the water in the pool, making sure that water lost due to evaporation and splashes is replaced with new water. Because of its important role in your pool, make sure to invest in one that will last for decades. A robotic cleaner is considered as the best cleaner out there because not only does it work with minimal supervision, it also scrubs every nook and cranny. Unlike other cleaners that attach itself in the filtration system of your pool, a robotic cleaner has its own filtering system and debris bag. 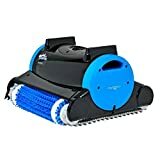 It can function as a full-fledged independent cleaner and can finish cleaning and scrubbing an entire pool for around 3 hours (depending on the size of your pool). It is able to clean the walls and floors, as well as vacuum debris scattered all over the water. Adding a vacuum or cleaner to help your filtration system not only lifts a heavy burden on your filter, extending its life, but also gives you a clean, spot free pool in mere hours. Proper sanitation for your pool should be given importance because a dirty pool infested with bacteria and algae can provide health risks for you and your family. Keep your pool dirt and slime free through the use of efficient cleaners, such as the popular robotic cleaner. How do you maintain your in-ground pool? Once you have chosen the inclusions to your in-ground pool kit, remember there is more to it than just purchasing and having it installed. Cleaning, repairs and maintenance is one point that many people forget to include when making their decision, which can sometimes lead to expensive costs and damage to their investment. In most cases there will be a form of warranty on the items that you purchase, if not from the supplier then the manufacturer, which can be redeemed in the case of manufacturing fault. However normal wear and tear is not covered and you might be left severely out of pocket. Purchasing a good quality cover and cleaning filter will do more than just improve the overall water quality in the pool but also improve how the entire pool operates. A good quality cover will save you money and time each year, as it will inhibit the natural evaporation of water from the sun as well as keep your pool clean and covered against falling leaves, dirt and debris that might be carried by the wind or surrounding trees and bushes from neighbouring yards. A pool filter is essential for the in-ground pool, as the water cannot simply be place in the in-ground pool and left on its own. Various chemicals will need to be added to the water to chlorinate it and keep it healthy so that each time you go for a swim you are not swimming in a bacteria infested green lake. The chemicals that are present will keep the water clean and swimmable, as well as ensure that the surrounding in-ground pool will not be subjected to deterioration as a result of unclean and dirty water. You also need to purchase a pool filter depending on the size and frequency of use of your pool. As with all equipment, picking your in-ground pool kit should be carefully inspected before making a final choice. Once installed, they can be very tricky and time consuming to remove, and after all the effort you put in it’s highly unlikely that you will want to remove it any time soon. Planning each step will ensure a greater chance of success and that everyone involved will be happy with the finished results. There are always a wide variety of choices when it comes to in-ground pools, with each having their own advantages. These variances and choices are at your discretion so you may pick whichever one suits you. Try to remember the reasons you want the in-ground pool and if the choice you make will help you to achieve what you want, be it a small swimming area, large pool for swimming laps or a comfort and leisure location away from fast pace of everyday life.